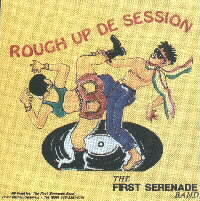 ROUGH UP DE SESSION was one of the original albums done by the FIRST SERENADE BAND. 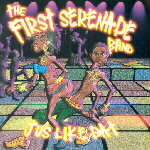 It includes some of the original bouyon classics done by the Serenade Band from Pointe Michel. Hot tracks include "Rough Up","Bef La Lajjay",Macco" and "Lesse' Mwen",the latter's guitar solo by Kelvin Dubuisson.Lead vocals on all songs were provided by Eric Bardouille, while Mervin Henderson provided vocal dub for "Easy Feeling".